Swords of honor, also known as presentation swords, are mentioned in the regulations and were not to be worn while on duty. These were presented to officers and rarely senior enlisted men by individuals, institutions or governmental bodies as tokens of esteem or in recognition of particular service. Among the earliest of American presentation swords were those conferred on officers by Act of Congress for Revolutionary War Service. State legislatures also voted officers swords. Other swords were featured at Sanitary Fairs where the attendees invited to vote on popular officers to whom the sword would be presented. Other swords were presented by members of military units to their officers or simply by one individual to another. 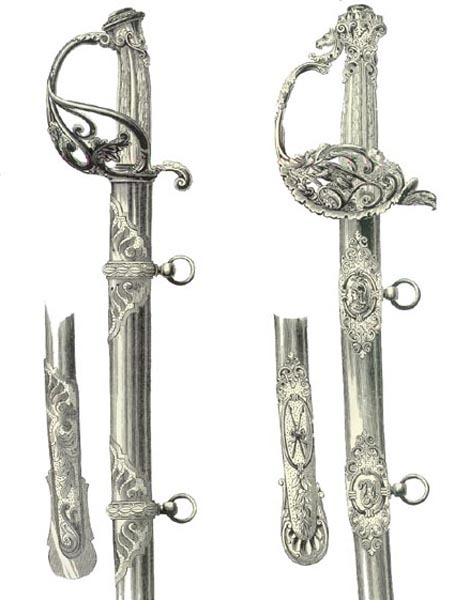 As with many other things Victorian, the swords were often overly ornate. Other less expensive ones were more modest and were similar to regulation models with more decorative mountings. Most were inscribed with a dedication engraved on the scabbard. Not all presentation-grade sword are inscribed and not all inscribed swords are presentation-grade. Tiffany and Company of New York is the best known supplier. 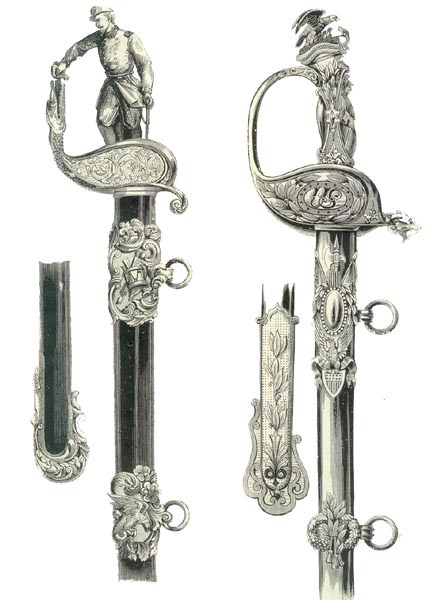 The practice of presenting swords of honor continued into the postwar period with the swords becoming less ornate. After the First World War presentation swords fell out of use.